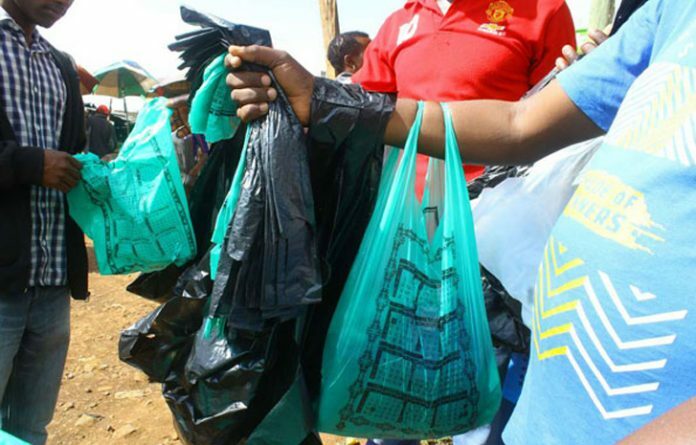 Some environmentalists on Monday called on the government to ban the use of polythene bags to safeguard the environment and health of the citizens. They, however, advocated the use of biodegradable products as an environmentally-friendly solution to polythene bags. According to the experts, polythene bags are non-biodegradable and it takes about 400 years to decompose. Mr Temitope Ogunweide, an ecologist and co-founder of Clean Edge Solutions, said the use plastic bags had been accepted in the country, adding that the effect could be dangerous to the environment. “We see a lot of activities carried out with the use of plastic bags; there is also need to consider the negative impact they have on the environment. “When people go to shopping malls, they used plastic bags to pack the items because of convenience. “This trend has become part of us but the convenience of these bags come at a very high cost to the environment and health,” he said. Ogunweide urged Nigeria to emulate countries like China, France, Italy and Rwanda in ban of plastic as he highlighted the negative impact of plastic on marine life. “Most of these bags end up in the bottom of the oceans because they are petroleum based band and they do not degrade. “Currently there are approximately between 46,000 and 1,000,000 plastic fragments floating within every square mile of the globes’ oceans. The expert said recycling of plastic in Nigeria had not been effective, calling for the effective recycling of plastics waste. “We have had many people advocating for recycling of plastics but most recycling plants do not have the capacity to recycle plastics in Nigeria. “But we must consider the effect plastic products have on our health, plastic bags contain some pollutants such as polychlorinated biphenyl and Polycyclic aromatic hydrocarbons, which are hormone disrupting. “It can lead to cancer in humans or some other serious health challenges,” Ogunweide said. Mrs Candida Nworah, an environmental consultant, called for the gradual ban of plastic bags despite its negative effect. Nworah said the ban was necessary but advised that it should follow a gradual process. According to her, the process of banning plastic goes beyond a one-year timeline, adding that it may take some years to complete the process. “Plastic is dangerous because it is non-biodegradable. Some plastics manufactured centuries ago are still in existence and we keep producing more. Nworah called for the sensitisation of Nigerians on the health implication of plastic bags and products as well a provision of an alternative to plastic products before the ban. “We need to educate people at the grassroots and also at the top echelon of society on the non-biodegradable nature of plastic and also create an alternative before the ban. “After you sensitise people on the dangers of plastic, you also need to create viable and feasible alternative. “This alternative has to be established before the ban,” she said. We all need to work together to ensure a world free of the effect of Polythene bags. When people go to shopping malls, they used plastic bags to pack the items because of convenience. “The huge amount of plastics in the ocean has a side effect on the marine life such as sea turtles and fish,” he said. Mr Temitope Ogunweide, an ecologist and co-founder of Clean Edge limited, said the use plastic bags had been accepted in the country, adding that the effect could be dangerous to the environment. I am going to level with you — Ripple is a bit harder to invest in than its peers. But since you are serious about making money, this is a good thing. At Wealth Daily, we use Coinbase for the bulk of our digital currency investments. Coinbase allows users to buy Litecoin, Bitcoin, and Ethereum, with hopes of expanding to other digital currencies in the future. Ripple could be on the horizon. We don’t want you to wait until then. So, we are going to walk you through buying Ripple on smaller exchanges. That way, you can get the currency while it is under $1. The two most popular currency exchanges for investing in Ripple are Poloniex and Kraken. On both platforms, you can exchange Bitcoins for Ripples. Many people choose to set up a Coinbase account and then transfer Bitcoin into Kraken or Poloniex. To do this, set up a Coinbase account. Once you create a username and password, add your banking information and make a Bitcoin purchase. Keep in mind that you can use your Coinbase account for more than just Bitcoin. It is a gateway account that will allow you to purchase Ethereum and Litecoin. You can explore both of those currencies in additional reports on our resource page. Now, set up your Kraken or Poloniex account. Transfer Bitcoins into your chosen platform and you can start buying. With Coinbase, you may have to wait a few days for the purchased Bitcoins to arrive into your account. As you venture deeper into digital currency, it will prove effective to keep Bitcoins on hand. Most altcoins can be purchased with Bitcoins. 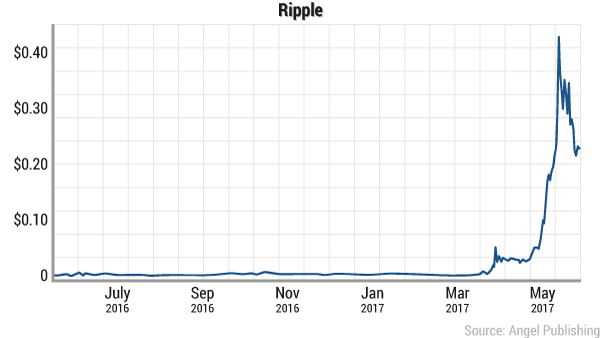 As things stand, Ripple could be one of the best investments in the digital currency space. It has unmatched potential in the financial world and a legion of support from both megacorporations and the tech community. It isn’t going anywhere — but its $1 price will quickly become history. Digital currencies have emerged as one of the most profitable investments of 2017. With the digital currency floodgates open, early investors are becoming accustomed to four-digit returns. But there’s a catch. Many of the currencies listed above have already achieved mainstream investors. They will continue to generate profits (making them valid investments), but you will never be able to buy them for under $1. Many digital currency investors are hunting for the next big altcoin, hoping to find a new Bitcoin for the right price. And the best contender is Ripple. 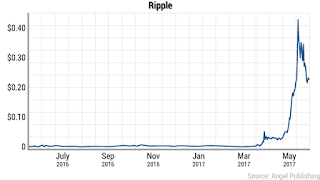 In the last year alone, Ripple is up 3,733%. Ripple is not your traditional digital currency. Calling it one is the equivalent of calling a horse a mule — you vastly undersell the currency’s potential. Today, Ripple is busy revolutionizing the way we transfer money and receive payments. Soon, it will change the way we bank and conduct business around the globe. Over the course of this report, we are going to educate you on Ripple’s potential and expose the top three reasons you need to be investing now. By the end of this report, we hope that you'll rush to the exchanges. Ripple, in the simplest sense, is a real-time payment system. It allows money to be exchanged between individuals regardless of their locations or their banks. 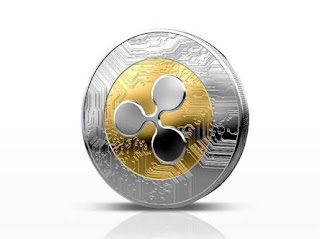 The digital asset that runs the Ripple network is XRP. When you buy Ripple, you are also purchasing XRP. If you are new to digital currency investing, the best way to think of XRP is as the fuel that powers Ripple. It is necessary for the technology’s function, but when investing, you will generally refer to XRP as Ripple. 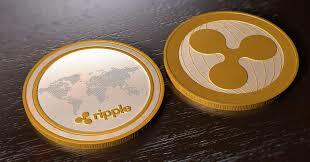 Ripple was introduced in 2012, making it an early mover in the digital currency space. It was also one of the first currencies to have a function outside of being a medium for exchange. Ripple was developed by an experienced team with deep roots in the digital currency world. Many members of this development team worked with Bitcoin. This included Ripple’s cofounders, OpenCoin CEO Chris Larsen and CTO Jed McCaleb. Investors considering Ripple need to understand the relationship between OpenCoin and currency. OpenCoin handles many of our digital currency transactions around the world. OpenCoin, and subsequently Ripple, has received backing from dozens of venture capitalists, including Andreessen Horowitz, FF Angel IV, Lightspeed Venture Partners, Vast Ventures, and Bitcoin Opportunity Fund. Those questions transition us to the first reason that you should be investing in Ripple: the Interledger Protocol. And that is where Ripple comes in. Ripple operates something called an Interledger Protocol. This is a use of blockchain technology that makes Ripple unique. Believe it or not, the idea behind the Interledger Protocol is actually thousands of years old, dating back to Medieval Arabia. You, as an individual, would walk up to your agent and give him money with instructions to send it to your friend. This agent would then send it to the agent of your friend. Even though money didn’t exchange hands on either end, a record of the money being moved was put in place. The receiving person’s agent would be responsible for moving the money along to the intended recipient. Both people have access to a secure channel, boxing out any potential threat. This makes Ripple an incredibly effective, secure monetary exchange that empowers individuals. This unique function makes it a powerhouse in the digital currency world. And even though this method directly empowers the individual, it is also a profit generator for large corporations. This brings us to the second reason you should be investing now. I think it would be foolish to think that our banking system will disappear overnight. This belief is popular in the Bitcoin crowd, with many devoted Bitcoin believers asserting that the world’s first digital currency has the power to rebuild our financial system in mere years. The reality is different. There is no doubt that digital currency is here to stay. But we are more likely to see it incorporated into our everyday financial lives through large players in the financial world: big banks. This makes Ripple the first digital currency to be adopted by mainstream financial institutions. It’s only picking up momentum. Why do the banks want Ripple? As always, it goes back to money and the Ripple Interledger’s ability to make a lot of it. Let’s be honest. No major financial institution adopts a technology for the ease of the customer. They do it to make money. That is the nature of the beast. Currently, if a bank is using Ripple, it saves $3.76 per payment. That is a cumulative saving of $564,000 a year. But the greed of financial institutions pays off for customers, who will be able to exchange money across borders and with individuals using different banks. We can expect to see surges in Ripple’s value once more transactions start taking place between separate banks. We are likely to see this in 2017. This will simplify our financial system. You will be able to send money to anyone, regardless of what bank they have — through the same simple channels. We touched briefly on Ripple’s talented development team in the introduction. Now, it is time to expand on what that extensive talent network means for the digital currency in the long term. It’s no secret that success in the corporate world depends on one thing: clout. For any technology to advance, it has to establish its value for both investors and corporations. Many digital currencies fail to do this because their leadership doesn’t know the right people or methods. For Ripple, establishing itself was as easy as pie. With two well-connected founders using their complex networks, Ripple quickly attracted venture capital and major investors. In 2015, Ripple raked in $55 million in venture capital in just one funding round. And this money keeps pouring in with more big investors backing the company weekly. One particular investor is worth taking note of. It is a tech giant that hasn’t shown a lot of interest in the bulk of digital currencies: Google. And so do the other venture capitalists pouring money into Ripple. The names backing Ripple — Andreessen Horowitz, FF Angel IV, and Lightspeed Venture — have stood behind dozens of lucrative startups, including Airbnb, Asana, BuzzFeed, Coinbase, Facebook, Twitter, and Snap. The first bitcoin futures contract listed by Cboe has expired, a move that came amid a turbulent day of trading that saw the cryptocurrency's price drop below $10,000. First listed in mid-December, the futures had a rocky start but ultimately those platform issues were resolved. The opening day for the contract saw the price climbing above $15,000. According to data from CNBC, the F8 contract settled at a price of $11,055, a notable development considering that, at one point today, the price of bitcoin slid to as low as $9,199.59, according to CoinDesk's Bitcoin Price Index. Yet in the period of time after the F8 contract settled, bitcoin's price appears to be reversing the trend it has seen in the past two days. At press time, the BPI is reporting a price of $11,344.66 – a figure that is just several dollars above the day's open. Cboe data suggests that the market for its G8 contract (set to expire on 2/14) is trading slightly below the market, with the firm's official website reporting a price of $11,220.00. 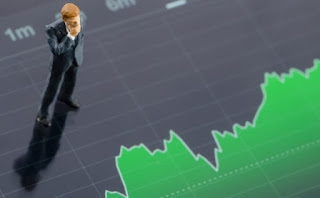 As for what the future will bring for Cboe's work in the cryptocurrency space, a recent press event covered by Bloomberg suggests that the company may explore products built around other coins – but that is likely to come after more months of work around the futures product. Speaking to reporters, CEO Ed Tilly said that the process could lead to something like an ETF – a long-sought product – but only if regulators are firmly on board. "Those boxes have to be checked before theres' a mass roll-out of exchange-traded products." Around 4:32pm bitcoin stood at $9,287.63 to record its lowest value since December 1 and the slump shows snout 50 percent since reaching a record high on December 18, according to data compiled by Bloomberg. “There was clearly a significant speculative component to the rally late last year and the drop will be very discouraging to those that previously thought there was easy money to be made,” Craig Erlam, a senior market analyst at Oanda trading group, said of bitcoin’s drop below $10,000. Bitcoin is down from record highs approaching $20,000 in the week before Christmas, having rocketed 25-fold last year, before being hit by concerns about a bubble and worries about crackdowns on trading it. “The panic-selling seen across all the major cryptocurrencies could be attributed to a possible regulatory clampdown in South Korea with authorities threatening to place an outright ban on cryptocurrency trading,” noted David Cheetham, a chief market analyst at XTB. 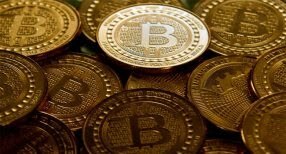 Information reaching us at naija crypto news shows that the price of Bitcoin will rise up before the end of the week. The African Development Bank (AfDB) has developed a new initiative called the Technologies for African Agricultural Transformation (TAAT) initiative – a knowledge and innovation-based response to the recognised need of scaling up proven technologies across Africa. Already, 25 African countries have written letters to the AfDB confirming their interest and readiness to participate in TAAT, and help transform their agriculture. It will support AfDB’s Feed Africa Strategy for the continent to eliminate the current massive importation of food and transform its economies by targeting agriculture as a major source of economic diversification and wealth, as well as a powerful engine for job creation. The initiative will implement 655 carefully considered actions that should result in almost 513 million tons of additional food production and lift nearly 250 million Africans out of poverty by 2025. 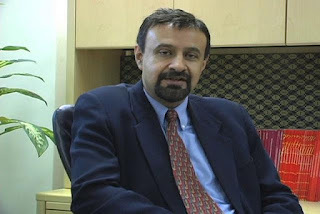 “TAAT was born out of this major consultation and brings together global players in agriculture, the Consultative Group on International Agricultural Research, the World Bank, the Food and Agriculture Organisation of the United Nations, the International Fund for Agricultural Development, World Food Programme, Bill and Melinda Gates Foundation, Alliance for a Green Revolution in Africa, Rockefeller Foundation and national and regional agricultural research systems, ” said AfDB President, Akinwumi Adesina, at a TAAT side event at the 2017 World Food Prize in Des Moines, Iowa. The Director, External Communications in the African Region of the World Bank Group, Haleh Bridi, described TAAT as a regional technology delivery infrastructure for agriculture, linking countries across agro-ecological zones. President of Alliance for a Green Revolution in Africa (AGRA), Agnes Kalibata, stressed that African governments should drive technological development in agriculture. “What TAAT is going to have to do is work with the governments. We have lots of institutions that are ready for these technologies. We should work with governments to ensure that the technologies are not just ready to work, but become available to their country people. I think that ensuring that the farmers get all the technologies they need is going to be very important,” she said. President of the Rockefeller Foundation, Raj Shah, highlighted the impact of technology on agricultural yields. 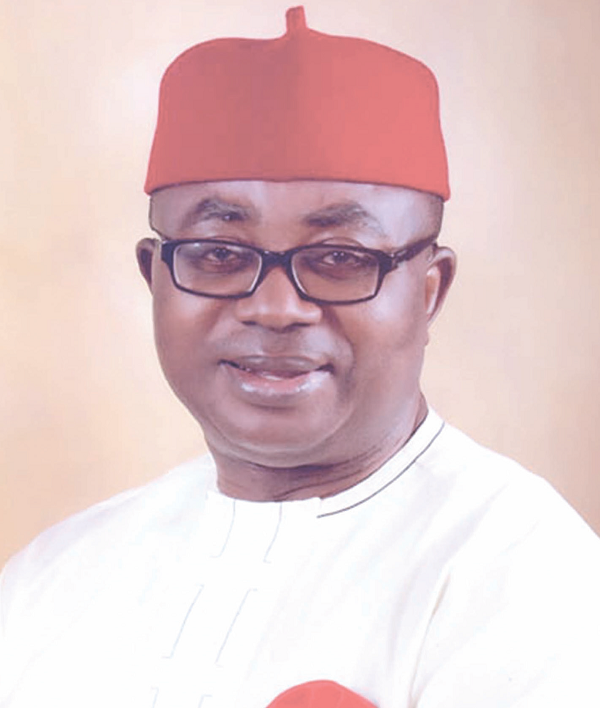 Chairman, House Committee on Climate Change, Samuel Onuigbo, says the House of Representatives will soon pass a bill seeking to create an agency on climate change. Onuigbo disclosed this on Saturday, October 21, 2017 in Abuja at a climate change walk programme organised by Ecolife Conservation Initiative, an NGO, as a pre-event to mark the International Day for Climate Change Action on Oct. 24. Onuigbo, representing Ikwuano/Umuahia North/South Federal Constituency of Abia State, said the bill would address challenges of climate and environment in the country. He said that the bill would also provide a legal framework for the mainstreaming of climate change, seek responses and actions into government policy formulation. He said that the bill had passed through first and second reading in the House, adding that it would soon be considered by stakeholders at a public hearing. “With the passion the Speaker and Senate president are having towards ensuring that the law is being passed, I am sure that this bill will become law by second week of November. “The bill has gone through first and second reading on the floor of the House on Thursday, Oct. 19, and the bill is also going to get everyone involved because climate change issues concern every citizen,” he said. Onuigbo however advised all the Ministries, Department and Agencies as well as other stakeholders to support the government in ensuring that the environment was protected. Mr Henry Akwitti, the National President of the NGO, said that the walk programme was to create awareness about climate change and educate FCT residents on steps to take to reduce carbon emission and develop climate-resilient pathways. Akwitti said that the programme was to commemorate this year’s International Day for Climate Change Action marked on Oct. 24 annually. “We all are aware that climate change is a very important subject matter considering its devastating effects as we have seen in case of floods, drought, famine and practically all spheres of human life. “Therefore, our environment must not be ignored, we must protect our environment for better and healthy life,” he said. He said that the organisation was focused in achieving environmental stability through sustainable green projects and massive public campaign. He called on Nigerians to imbibe the culture of keeping the environment clean to promote environmental health. This theme for this year’s programme is: “Sustainable Solution’’. 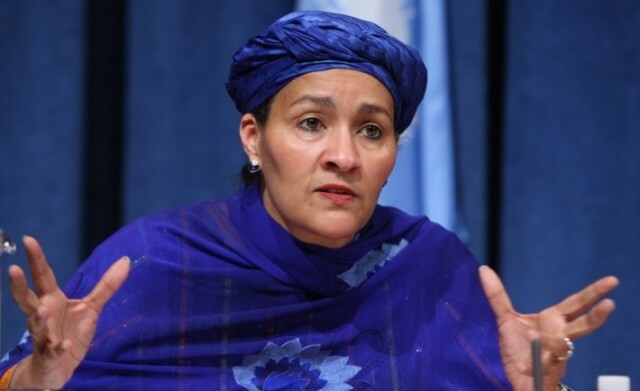 According to the UN Deputy Secretary-General, Amina Mohammed, there are 37 career openings for young Nigerians under the United Nations bureaucracy. Mrs Mohammed speaking at a cultural night organised by Nigerians working at the United Nations Systems said the openings are available via the Junior Professional Officers’ (JPO) Programme, including an internship for young graduates. Nigeria, she said, has the opportunity to sponsor its youth for UN careers through the JPO, but regretted that the nation has not seized the opportunity in a long while. JPO is a programme for the young people to come and grow their career at the UN and it has 37 positions for Nigeria – one for each of the 36 States and the Federal Capital Territory. The JPO programme provides young professionals with hands-on experience in multilateral technical co-operation and is one of the best ways to gain entry-level positions within the UN system. JPOs are sponsored by their own government, which funds their placement in one of a range of UN organisations. At the cultural night, Amina asked older Nigerians to pave the way for the youth by creating leadership opportunities for them. She urged them to stop competing with the younger ones for employment opportunities. “Whenever there are opportunities, try and pave the way for the young ones; you are getting old and we want to see the young ones in the system. “We need to give the youth the opportunity because if we don’t give them the opportunities, they can easily fall victims of crimes,” she said. “It’s really important that we remember, with what we do here, what we can get back home, that we can encourage those at home, and inspire them. Amina condemned what she termed alarming gender-based violence in Nigeria, saying it has increased in dimensions that one could never imagine. “So when I look back home and I see that there are women that are coming back from Boko Haram captivity, they come back with a type of violence that many, for the rest of their lives, can’t recover from. “But what I wanted to say was that as we look at the gender-based violence initiative that we put a spotlight on our own nation; we all have a part to play,” she said. Mohammed also lamented how girls were left behind in education, stressing that everyone needs to have an education – the boys and the girls. “The boys we didn’t educate are the same ones that kidnap the girls that we educated. Col. Jolly Abu (rtd), President, United Nations Staff Recreation Club Nigeria Association, said the cultural night was organised to showcase Nigeria’s culture. According to him, the Nigerians in the UN are very proud of their culture adding, it is also for them to mingle, rekindle and renew their bonds. “The UN encourages that we should meet and foster unity among ourselves and also enjoy ourselves; so that’s what we’re doing,” Abu said. Afterwards, the Team visited Crescent Height Secondary School where over 150 students were reached. In a report submitted to the campaign supervisor, Toyib Aremu, and presented by the content creator, Waliyah Okunade, it shows that the sensitization exercise has begun in grand style with over 1000 student reach in its first week. Meanwhile the Campaign Manager, Tosin Gbadegesin, and Coordinator, Temitope Ogunweide, as at the time of briefing press men stated that the desire to make impact has been the goal of the project and reiterated good news on the project just began. 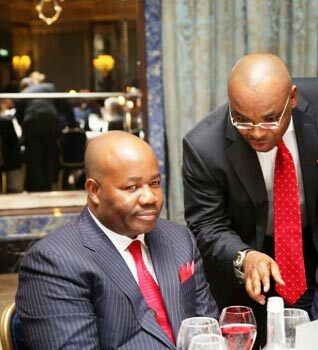 Senate Minority Leader and immediate past governor of Akwa Ibom State, Senator Godswill Akpabio and his successor, Governor Udom Emmanuel, have vowed that nothing will ever come between them as being witnessed in many states. According to them, they will never step on the “banana peel” of disagreement between former governors and their successors they helped to ascend to power. They spoke yesterday at the 25th anniversary celebration of the Akwa Ibom State House of Assembly at Uyo, the Akwa Ibom State Capital. © Mrsnowgys blog 2016. Awesome Inc. theme. Powered by Blogger.